An acupressure mat is often compared to acupuncture where a professional acupuncturist inserts tiny needles in very specific points of your body to help with pain management. But instead of the costly expense of ongoing acupuncture treatments to help manage pain, the low one-time cost of a good acupressure mat (which uses similar principals) could make a huge difference, like it has for me. Two of the best acupressure mats (or acupuncture mats) currently sold are the Spoonk and Nayoya mats. There are many others including the original Bed of Nails mat and Kenko acupressure mat. Instead of using needles, these acupressure “massage” mats consist of thousands of hard, sharp plastic spikes which when you lay (or sit or stand) on, causes an increase in blood flow to that area to promote healing which in turn helps your body release endorphins. The end result is a reduction in pain and a great sense of relaxation. Most people will use one of these mats for pain relief, most commonly back pain related. 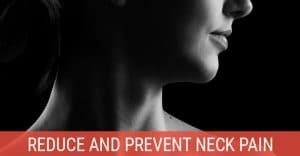 Foot, shoulder, neck, and headache pain are other common targets of relief. 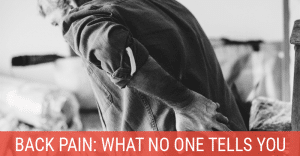 While I’ve never used my mat for anything other than my lower back pain, I personally know someone who uses their acupressure mat to treat migraines which they regularly experience. My wife recently got her own mat to help with muscle soreness that comes with training for her first half-marathon. She was sold after standing on the mat for less than 5 minutes after a long training run. 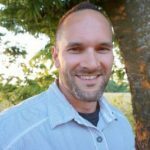 While none of the products I recommend on this site will help EVERY person, an acupressure mat is one of the first products for back pain I recommend to friends and family who are dealing with any type of ongoing pain. It’s one of those purchases you’ll likely never regret (unlike that Snuggie blanket) and even the very best acupressure mat will cost you less than a single acupuncture session. Here are the two acupressure or pain relief mats I recommend. One of the most popular acupressure mats around is also the highest quality. This 26.5” x 15.5” inch mat consists of 230 discs, each with 27 stimulation points (spikes) for a total of 6,210 pressure points. The Spoonk mat is made of a USA-made, plant-based, eco foam covered by a thick 100% cotton cover. What makes the Spoonk stand out from the competition is the spikes on the plastic discs are a bit taller and sharper, as they should be. This is as close to a “bed of nails” experience as you can get from an acupressure mat. When you look closely, you can tell the manufacturing process has tighter tolerances which results in a high quality product. The foam and cover feel both soft and durable and the 2-year old Spoonk mat I currently use still looks brand new. While other brands stick with a single color, the Spoonk is available in Magenta, Navy, and Teal (aka Pagoda Blue). Also available is an organic hemp/cotton blend with additional colors. Even though it made no difference in my purchase decision, Dr. Oz featured the Spoonk mat on his “Best Alternative Therapy Ever” episode and it made Oprah Magazine’s “O List” of top products in 2013. While in my mind the Spoonk is the best acupressure mat you’ll find, it may not be for everyone. Those with extremely sensitive skin, those who want to primarily use on more sensitive areas like feet, or those who would prefer to have a secondary acupressure pillow for headache relief might want to instead consider the Nayoya mat below. Like the Spoonk mat, the Nayoya mat features exactly 6,210 individual pressure point on its mat. Unlike the competitor, the Nayoya also includes a separate acupressure pillow with an additional 1,782 acupressure points. This contoured pillow is especially great for headaches and neck pain. At 26” x 16”, the Nayoya is slightly shorter but also wider than the Spoonk. As noted earlier, the plastic spikes are just a bit shorter and duller on this model. If you were to lay on both mats at the same time, you’ll probably notice a small difference in the sharpness. Both mats I tried did a great job temporarily relieve lower back pain, but in theory, the Spoonk should be just a bit more effective. While the mat quality is on par with other brands, it’s not quite the same level as the Spoonk. If you search on Amazon for acupressure mats or mat for back pain, you’ll find many copycats to the Nayoya design (pillow and all) including the Zensufu mat. Upon close inspection, the material quality looks identical making it almost seem like they’re coming out of the same factory. Probably not the case but worth mentioning. 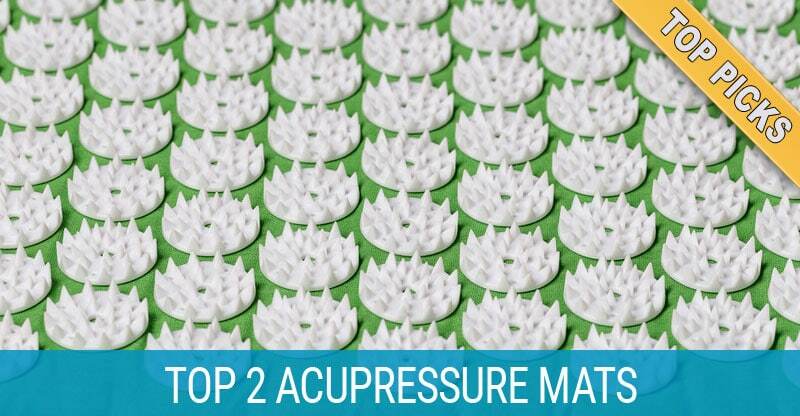 If you’ve never used an acupressure mat before, you’re probably thinking this will hurt. After all, touching one of the plastic spikes with your finger will seem like laying on it would be torture. Since the weight of your body is distributed upon the thousands of points, it’s really not that bad even starting out. Still, it’s recommended to either wear a t-shirt or lay a sheet or towel over the mat to lessen the intensity of the trigger points. 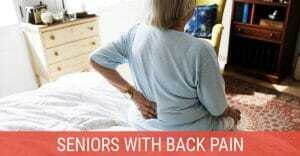 For back pain relief, place the mat on the floor to start. You can also use the mat on a mattress but it’s a slightly different feeling on a softer surface. Slowly lay down on the mat and position the area of pain evenly on the nails whether it be your upper back, lower back, or buttocks. At first, keep your legs bent but also experiment with straight legs which will add a bit more intensity to the acupressure points due to how your body weight is balanced. Start with a 10-15 minute session. After a few minutes, you may feel a sensation of heat in your back. This is completely normal and just means that extra blood flow is going to that area. After a few sessions, you won’t even notice that. Speaking of blood flow, NO, the spikes are not actually puncturing your skin. There will not be a pool of blood on the floor as soon as you get up. You will notice a whole bunch of dots on your back where the tips of the spikes were pressed against your skin. As tempting as it would be to take a picture and post it on Facebook… don’t do it. As you get closer to the end of the session, you may feel especially calm and relaxed. Some people have been known to be in such a relaxed state that they actually doze off. This is totally fine. You’ll eventually wake as soon as your body makes a slight movement on the sharp spikes. When your 15 minutes are up, slowly get off the mat (using your arms to prop you up) and sit or stand. If you’re like most people, any pain you experienced should be reduced or even gone. While this relief is only temporary, those minutes or hours of relief are simply amazing if you’re used to constant pain. For subsequent uses or as your tolerance increases, up your session time to 20-40 minutes to get the best results. It’s often recommended to use your mat 2-3 times per day but there’s no hard rule. Try laying on your mat in bed for 20-30 minutes right before bedtime. You’ll fall asleep faster. Instead of snoozing your alarm in the morning, lay on your mat for a few minutes to help wake you up naturally. Experiment with reflexology by standing on your mat (wear socks if needed) for 5 minutes whenever your feet are tired or your feel fatigued. Don’t give up after one session. Your pain tolerance using the mat increases every time you use it. The first time I used the Spoonk, I wore a t-shirt and lasted about 5 minutes. Now I could easily lay on it for an hour without a shirt if I wanted.